Okmulgee Newtown Church has had a presence among the Mvskoke people for nearly 200 years. Its history is like a river, which began humbly, as a small spring, growing to be a mighty river of influence in the Muscogee (Creek) Nation, Indian Territory and the Oklahoma Indian Missionary Conference. Samuel Checote answered God’s call to bring Christianity to his fellow Mvskoke brethren, at a time when his people were still recovering from the tragic Trail of Tears era. Checote began preaching the gospel to small gatherings of Creek people, despite the persecution that came with the introduction of new beliefs, similar to early disciples bringing the Good News. He was also one of the first ordained ministers from the Creek Nation, at a time when the Creeks had a prohibition against preaching and practicing Christianity. Checote received the penalty of up to 50 lashes with a whip for preaching the Good News and encouraging Christianity. Checote, along with his congregation at New Town, petitioned the Creek Council to lift the prohibition. Chief Roley McIntosh finally did so in the 1840s. Starting on Checote’s homestead (west of present-day Okmulgee Lake) in the 1840s, the coming of allotment, Oklahoma statehood and the World War I, all served to bring Newtown to its current location, northwest of Okmulgee, Oklahoma. 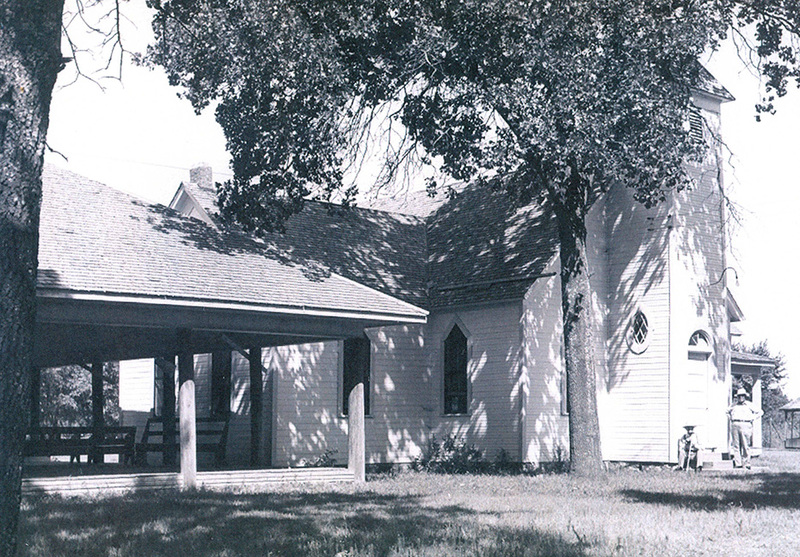 The church building was constructed in 1841 in what was then Indian Territory. Newtown has welcomed believers, chiefs, presidents and those hungry for comfort and salvation. It has baptized, taught, married, ordained, healed and laid to rest hundreds of God’s children, giving a Christian foundation to future conference, jurisdiction and national UMC leaders.